On behalf of my family and the Wikiup Commons team, we thank you for your active participation during this important creative neighborhood development phase. We held our second community meeting on July 11 and I was encouraged to see ongoing interest by so many neighbors. After collecting your initial thoughts from our first meeting in June and through our website survey, we presented an initial concept which embraced the community’s desire to provide much needed housing and open space. This includes opening 50 percent of the property for parks, creek trails and open space. The remaining 50 percent of the 31 acre-property would house families in just under 100 homes. These homes would range in size from 1,000 sq. ft. to approximately 2,800 sq. ft. The diversity of housing proposed would offer first time home buyers the chance to enjoy our beautiful community while providing those wishing to downsize a perfect opportunity to be a part of our neighborhood. In addition to meeting the housing and parks/trails requests, we added an emergency access route into the proposed neighborhood. This means emergency vehicles would have adequate access to respond in times of emergencies – which is critical to our neighborhood plans. We also are coordinating closely with natural resource agencies to continue being an active partner in the restoration of Mark West Creek. I was encouraged by National Marine Fisheries Service Manager Bob Coey’s remarks on how we can all work together to protect Mark West Creek. A call to action by neighbors was also made at our meeting. Larkfield resident Brad Sherwood is helping form a neighborhood committee to coordinate the development and maintenance of future parks, and a pedestrian bridge over Mark West Creek. My family will help with this effort and offers our support to connect our community through potential park and recreation development. To sign up for this new committee (Working Group), please email us at info@wikiupcommons.com. We are continuing to listen and take more suggestions and creative ideas on how we can utilize this beautiful piece of land for the best benefit of our community. 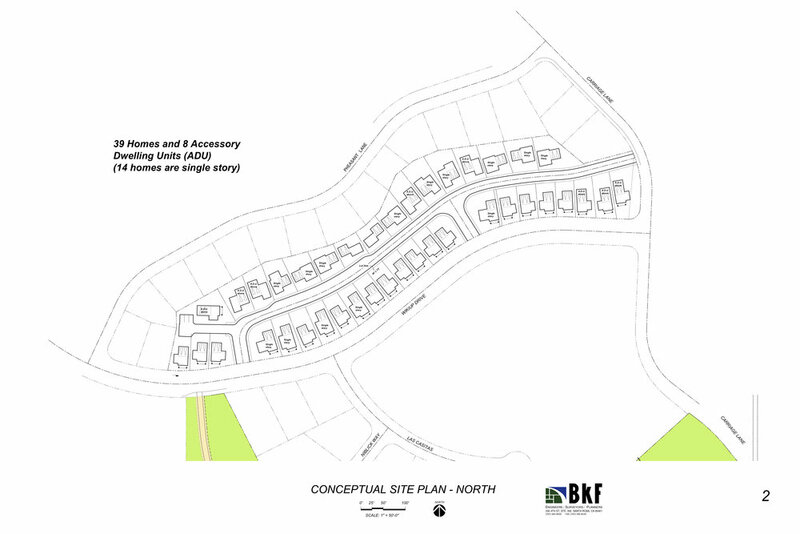 Please visit our website at www.wikiupcommons.com to view the initial stages of the proposed neighborhood concept plans. E-mail us your ideas at info@wikiupcommons.com. We will host a third neighborhood meeting in August. The meeting will be held at San Miguel Elementary school – we will announce the date and time soon. Again, thank you so much for your time, energy and commitment to our community.